11 minutes is all it takes for one bike to be stolen in the US, barely longer than it took back in 2011. Still, one motorcycle is being stolen in the US every 11 minutes or so, 2012 statistics tell us, and even though the number of the stolen bikes has decreased a bit, the difference is only a minor one. Again, your bike could become the stolen one, with every passing 11 minutes. Nothing changes, and when such bad things aren't changing, this means we've got a problem. 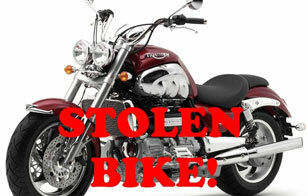 Motorcycle theft recoveries are at a dismal 39 percent of the 46,061 two-wheelers reported stolen in 2012. 2011 saw 46,667 leaving their owners without their consent, so you can imagine that indeed nothing seems to be happening. 53.9% of the stolen cars have been recovered, so it's obvious the bikers are at an even bigger loss here, crying to be covered for. This makes me wonder: aren't owners learning anything from one year to another, or are the thieves getting smarter? With so many anti-theft devices around, many of them selling for very affordable prices, I would have expected that the thefts decreased at a more sustained rate. For what's worth, I know that thieves are now more careful when they think about stealing a guy's smartphone. These devices are GPS-enabled and all it takes is an SMS or login from another phone or computer to trigger alarms, track and find the phone in a matter of hours. Bike-specific GPS beacons no longer cost a fortune and have also become small enough for hiding in so many places aboard a bike, yet people seem to be ignoring it at least since 2011. Most modern motorcycles, even some of those not in the premium range, have smartphone integration, and I am really puzzled that manufacturers have not tapped into the safety niche yet. To me, it only seems natural that any bike loaded with so much electronics and digital technology had an anti-theft component, GPS included. And from people who work in code writing, I also learned that a specialized software to cover this niche is not exactly hard to make. Even with no GSM integration, an emergency signal can be picked up by a smartphone the moment the bike is tilted or lifted off the ground. If we add GSM communication in the equation, then it looks like thieves would barely stand a chance. Imagine someone trying to mess with your bike, and the machine instantly and quietly sending you a warning SMS. You could approach the bike in silence and ambush the thief, maybe asking for help from a cop you can find in your way. And in case your ride gets stolen anyway, tracing it would be easy using the GPS beacon or the coordinates sent via a text message. Most new bicycle prototypes come with integrated GPS covering for both navigation and recovery in case of theft. If they can, why aren't motorcycles following this example? I mean, you pay some 15 grand on a bike and then you get skimpy on another couple hundred bucks? This makes no sense. Installing $200 worth of GPS anti-theft on a lousy pre-owned scooter which ran you double this price may indeed be a bit eccentric, to say the least. But your 2013 Fireblade is definitely worth the extra bucks! Which brings us to Honda bikes. In the US, Hondas were the most stolen bikes, just like Honda 4-wheelers led in the car theft. 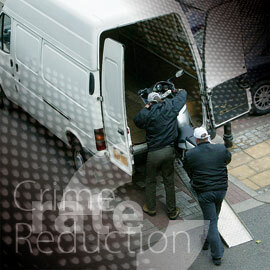 Remember the 46,061 stolen bikes in 2012? Well, 9,082 of them were Honda. Next in line come Yamaha (7,517) and Suzuki (7,017). Thieves showed a much lower interest in stealing Kawasaki machinery (4,839) while the MoCo attracted only 3,755 thieves. It may also be that in the next 11 minutes your bike will be the one getting stolen if you live in California, Florida or Texas, as these are the top three states which add to the statistics. Texas switched places with Florida in 2012 but still, this is little comfort. New York leads in the cities' rank, with a hefty 903 bikes gone missing, followed by Las Vegas with 757, San Diego with 633, and Indianapolis and Miami for the top five, with 584 and 535, respectively. To end this in a funny way, I'd advise you'd better avoid riding to NY in July and spending there more than 11 minutes. And by the way, you've already spent more than 11 minutes reading this and clicking other links: go check on your bike, dude, thieves are counting down. Seriously now, guys, there's so much anti-theft technology available, start acting. Thieves are already on the move, as they've always been.